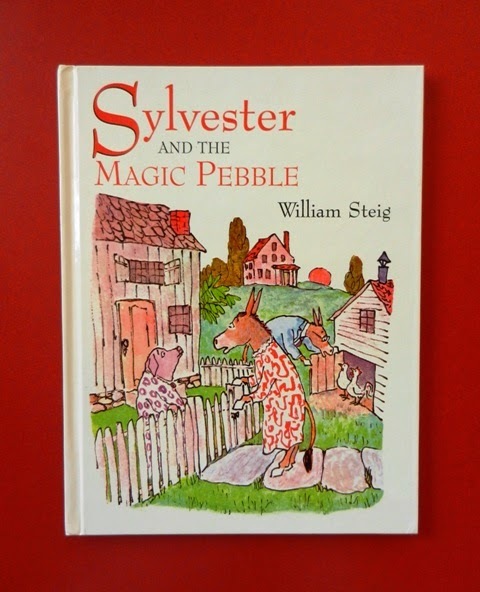 Summary: Sylvester, a pebble-collecting donkey, feels lucky to find a magic pebble that makes wishes come true, but fear of a nearby lion leads Sylvester to wish to be a rock. When his wish comes true, he is stuck and mute. Sylvester’s parents begin a frantic search to find their beloved son. As time passes, all three become hopeless and sad. Once spring comes, Sylvester’s parents go on a picnic to cheer up. When his mother sits on him, Sylvester is awakened. She spies the magic pebble, picks it up and places it on the rock. Suddenly Sylvester’s desperate wish to be himself again transforms him to into a donkey. The family is joyfully reunited. Hanna’s Comments: This is a powerful story of familial love, absence, and struggle. The story can be easily re-framed as a demonstration of fervent prayer and even miracles. Available in Spanish? Yes, there is a video in Spanish also the collection listed below.